Victim Services reminds us during Domestic Violence Awareness Month that its confidential advocates are available to listen and support those in need. 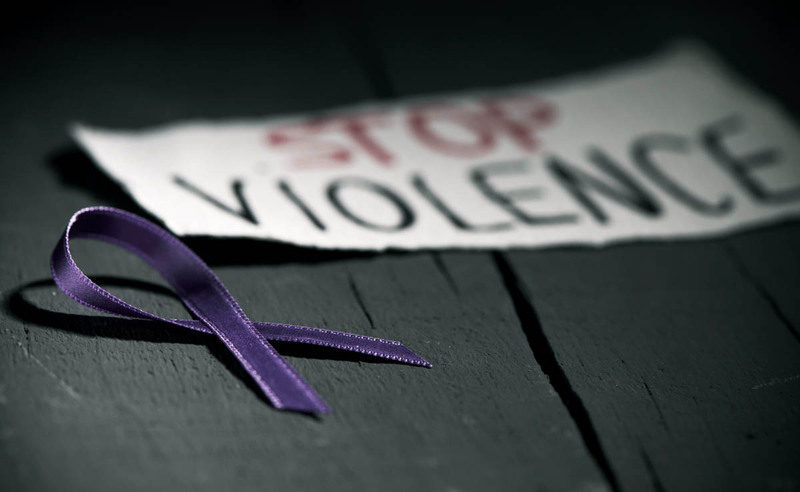 On average 24 people in the United States experience some form of domestic violence every minute, according to the Centers for Disease and Control. It was December 2009 when Tampa resident Audrey Mabrey’s youngest son’s first birthday was approaching. A time she should have been picking out decorations and a cake, but instead was waking up confused from a six-week coma in an intensive care unit. A coma she slipped into after she was hit on the head with a hammer four times, covered in gasoline and set on fire by her husband, the father to her two young sons. After weeks of speaking with doctors and undergoing physical therapy, Mabrey finally felt she was ready to look at her injuries. What she saw in the mirror wasn’t the same woman she knew, one who had won beauty pageants as a child. Instead she was looking at what she describes as a horror-film monster like Freddy Krueger. More than 80 percent of her body had been burned. In that moment a flood of memories from the attack came over her. Although it was overwhelming, Mabrey made a choice as she stared at her reflection to hold onto hope. “My thought process in that moment was [my now ex-husband] might have robbed me physically, but I refused to allow him to rob me mentally, emotionally or spiritually,” Mabrey says. Three years later Mabrey’s abuser was sentenced to serve life in prison and in the nine years since the attack she’s undergone many plastic surgeries to restore her former appearance as much as possible. She’s also kept her determined, positive spirit alive by traveling the country to spread awareness on domestic violence, an issue that affected more than 12 million men and women in the United States last year, according to the Centers for Disease Control and Prevention. One of her recent speaking engagements took place earlier this month at the annual Light Up the Night event, which is held every October in recognition of Domestic Violence Awareness Month and is put together by UCF Victim Services. The organization provides crisis intervention, safety and security for anyone in the UCF community that’s been impacted by crime, violence and abuse. On college campuses, 43 percent of women who date report experiencing some sort of violent or abusive dating behavior, with more than half of students finding it difficult to identify these problems at all, according to the National Domestic Violence Hotline. Changes in behavior and clothing, not wanting to hang out often and always checking in with their partner are some of the signs Mouton says to look for if you suspect someone is experiencing domestic violence. Victim Services has provided help to 600-800 people affected by a range of crimes each year for the past three years. Although recent movements like #MeToo and events such as the Brett Kavanaugh investigation before his Supreme Court confirmation have increased the national conversation around sexual harassment and violence, Mouton says she hasn’t found any indicators of increased cases reported at UCF. Men, particularly, have a hard time reporting abuse, she says. It can often feel emasculating for them to admit a woman is their abuser, although there are now more than ever before. Often the abuse takes the form of scratching, screaming and other demeaning behavior. “We’re seeing this on both sides, in all types of relationships,” Mouton says. Anyone seeking help from Victim Services can call the 24/7 hotline at 407-823-1200 or text 407-823-6868. They can speak with an advocate, who has at least a bachelor’s degree in a relevant field, has completed 40 hours of victim-designation training, and regularly attends conferences and workshops to advance their training. From there, the caller will be provided with campus and community resources to find the right support for them. The advocates will also talk through a list of reporting options with the victim, such as filing a police report, injunction or order of protection, but will never try to persuade someone to do so if they aren’t comfortable. For more information about Victim Services, visit victimservices.ucf.edu. You can also visit their main office in Suite 450 of the College of Nursing building on Research Parkway or their on-campus locations on the second floor of the Health Center and the Green Dot office in the John T. Washington Center.